Want to Live Longer? Go Fish! In other words, when fish consumption goes up, risk of death goes down. Wow. What are PUFAs?? There are two main types of them — omega-3 and omega 6 polyunsaturated fatty acids. Omega-3 essential fatty acids are found in fatty fish, shellfish, liver, and in some seeds like flax. And, obviously, there’s nothing you can’t OVER-CONSUME and make it bad for you. So if you eat meat, make the primary source of that meat be fish! The Magic Mediterranean diet is not a panacea. It never was. Like magic, the Mediterranean Diet seems to cure all ills — diabetes, heart disease, obesity, crappy food choices. But it can’t cure all of them. You still need to move and be active. Crazy right? This study looked at 3,358 young people (between 18 and 30 y.o.) with prediabetes, and then followed up 25 years later. They wanted to see whether the people with diabetes later on were also fit, or ate a Mediterranean style diet. Results? Being fit was associated with reduced risk of diabetes. The miraculous Mediterranean diet was neither here nor there. But here’s the real magic. Eating real food, in control, and moving every day together decreases your risk of bad things happening to your body and increases your risk of good things. Shazam! Are Statins Worse For You Than A Mediterranean Lifestyle? This report suggests that the Mediterranean lifestyle is better for you than Statins. Our son had his blood tested last week and has high cholesterol…so weird…he is only 10. My wife is really good about providing a balanced, healthy diet to the kids (has a hard time with me) but he still appears to have some more specific dietary needs. The Mediterranean diet, from what I remember, hits cholesterol specifically doesn’t it? Hi Tedd, thanks for the question!! This is so important to answer because the science on cholesterol is changing under our feet. At first we were told to get our total cholesterol under 200 mg/dl at all costs (take statins, for example). More recently we were told that the total value isn’t as important, so long as the balance between GOOD CHOLESTEROL and BAD CHOLESTEROL is correct. Great review here from the Nat’l Heart Lung and Blood Institute. Something we need to keep in mind is that although the research changes quickly, not all clinicians may keep up with the pace. This can result in outdated advice. It’s not always the case, of course, but it does help explain our confusion when one clinician may say X, a second one emphatically argues for Y, and a third goes totally off-grid with Z.
You’re correct that the Mediterranean Diet is recommended for many things, including overall cardiovascular health. Basically, this approach includes normal foods (fruits and veggies, dairy daily in the form of yogurt or cheese), normal drinks (tea, water, coffee, wine, juice, milk … nothing artificial), meats that lean on fish and chicken, and daily activity. I know we don’t live on the Amalfi coast in Italy (bummer, eh? ), and so we cannot eat their specific cuisine purchased from their grocery stores on their time schedules. But with your son, if you follow these basic rules you’ll be adapting their principles at least. And the impact of this approach on cholesterol — according to the data, see below — will be minimal on the total cholesterol number, and can improve the ratio of GOOD to BAD cholesterol in the process. And Tedd, what you’re looking for is a ratio of 1 to 3. In other words, if your son’s good cholesterol is 50, the bad should be around 150. Again, if fruit becomes your dessert, you make your own food at your own home from real ingredients, additive sugars are cut out, and deep fried … everything … becomes the vast exception to the rule, then this ratio should move in the healthy direction. Let me know if this makes sense, and (as a cure for insomnia, lol) check out the seismic shift on cholesterol research below. Your body needs cholesterol. In fact, a full 75% of all the cholesterol in your body is made by your own liver. Your body’s commitment to cholesterol is likely due to the fact that every large axon in your brain is ringed by it. And the rest of your body needs it to make vitamin D, hormones, and also to help you digest your food. That’s how important it is for you. But over the past 30 years, we were told that this vital molecule was directly linked to heart disease, and also that eating cholesterol (as in an egg, for example) increased that risk. Fortunately, the research is coming back around on this, and changing its mind. In recent years, there have been a number of epidemiological studies that did not support a relationship between cholesterol intake and cardiovascular disease. Further, a number of recent clinical trials that looked at the effects of long-term egg consumption (as a vehicle for dietary cholesterol) reported no negative impact on various indices of cardiovascular health and disease. STUDY LINK HERE. The recommendations need to be changed.The lines of evidence coming from current epidemiological studies and from clinical interventions utilizing different types of cholesterol challenges support the notion that the recommendations limiting dietary cholesterol should be reconsidered. STUDY LINK HERE. The preponderance of the clinical and epidemiological data accumulated since the original dietary cholesterol restrictions were formulated indicate that: (1) dietary cholesterol has a small effect on the plasma cholesterol levels with an increase in the cholesterol content of the LDL particle and an increase in HDL cholesterol, with little effect on the LDL:HDL ratio, a significant indicator of heart disease risk, and (2) the lack of a significant relationship between cholesterol intake and heart disease incidence reported from numerous epidemiological surveys. STUDY LINK HERE. We’ve known for a long time that the Mediterranean diet is good for prevention, to prevent problems like diabetes … and high blood pressure … and heart disease … and Metabolic syndrome … and boring tasteless food … from happening to you in the first place. But this study shows that it’s also good for treatment. After you’ve eaten all the corn dogs dipped in Baconnaise, finished off your last can of aerosol spray cheese, and rinsed it all back with the 900-ouncer diet cherry cola for far too long, you’re going to be left with one gigantic dietary disaster. It turns out that turning to a Mediterranean diet (real food, mostly veg, in control, with a focus on healthy oils) can help reverse the metabolic mess of Metabolic Syndrome. Not only does it help reverse the damage of Metabolic Syndrome better than the low fat diet, but it also helps you lower belly fat along the way. In the study, Salas-Salvado’s team looked at almost 6,000 men and women at risk for heart disease. At the start, almost two-thirds had metabolic syndrome, which increases the risk of heart disease, diabetes and death, according to the study. Metabolic syndrome is diagnosed when three or more of five risk factors are found: large waist, high blood pressure, low “good” (HDL) cholesterol, high triglycerides and high blood sugar, according to background information in the study. After a follow-up period of about five years, 28 percent of those who had metabolic syndrome at the start did not have it, the study found. Those who ate the Mediterranean diet were more likely to reverse the condition, the researchers reported. Those who ate the Mediterranean diet also had a decrease in belly fat, which is known to increase heart disease risk, according to the study. So put away your low fat, low taste processed food products and return to the diet that can help your body “right the ship”. You’re taste buds will also thank you! For our weight and health, the same principle holds true. There are entire cultures that (unlike us) have low weight, healthy hearts and longer lives. In other words, a successful dietary model exists already, with millions of people living their healthy lifestyle every day. If we do what they do, we would get their results. However, instead of adapting and adopting their success like any good corporate strategy would advise, we have chosen to reinvent the wheel for over 40 years now with diets including the low carb, low fat, food combining, cave man, blood type, cabbage soup, and on and on. The list is embarrassingly long, and made doubly so by their persistent failure to make a dent in the problem. 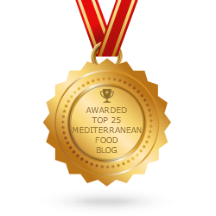 The dietary habits of the Mediterranean region are of the healthiest on Earth. The people are healthier and thinner, with fewer cases of heart disease, diabetes and obesity. But—even better—they didn’t get this way by following the diet d’jour but by living the lifestyle, they’ve enjoyed for centuries. Like any corporation, however, translating another’s success to your own wildly variable circumstance is tricky. And the same thing holds true for the Mediterranean diet: we don’t live there; our employees don’t have 2½ hours to eat their lunch; we don’t have fresh markets on every corner or five weeks of mandatory vacation every year. Yes, they are living a healthy lifestyle—but how do we make that work for us? 2) adapt those for our employees. Principle #1: “Eat Food.” This basic of the Mediterranean lifestyle avoids dietary minutia, and keeps participants from wringing their hands over the carbs in their baguettes, points are in their potatoes or calories when they take a walk. Micromanaging molecules — whether calories or carbs, points or proteins —is the very definition of a diet and is not practiced by any healthy culture. None of them. Principle #2: If it ain’t food, don’t eat it. Communicating this principle in the break room, lunchroom, and on vending machines encourages employees to eat real food, not synthetics (that’s sugar, not non-nutritive artificial sweeteners; olive oil, not hydrogenated oil; bread, not “wonder” bread; and vegetables, not supplements). Even in America, we can adopt the Mediterranean habit of choosing items that are real food, made with real ingredients. Principle #3: Learn to (actually) love food again. We have be coached by our culture to think that if you love your food, you eat it big and you eat it fast (think “Man versus Food”). But no healthy culture thinks this way. For them, the love of food is less about the quantity eaten and more about the quality of the food. Finally, a key principle to the Mediterranean lifestyle is to return to the family table. Americans used to practice this just as regularly as other cultures do now, but we have somehow forgotten it. And this is too bad, because the research is clear. When people eat at a table with people they enjoy, food quality increases as high-volume consumption decreases in the process, so you control calories and so control weight. These principles are a win, win, win, especially because they are practiced by successful cultures. This lowers risk and increases the chances that you can create a healthy culture of health. Alzheimers Research: Pills? No; Mediterranean Diet? Yes. Alzheimer’s research is continuing — that’s one bright side we can take from the mixed Alzheimer’s news this week. But the negative news was truly disheartening. A commonly prescribed drug to treat moderate to severe Alzheimer’s was found ineffective for mild cases. Memantine, brand name Namenda, doesn’t appear to slow memory loss any better than a sugar pill for patients in the early stages of the disease, researchers have concluded. In fact, none of the handful of drugs approved for Alzheimer’s patients can slow, much less stop, the disease. They can only treat symptoms such as memory problems and confusion. The latest finding comes on the heels of a string of drug failures — heartbreaking for those already suffering with the disease and for their families. — Take a walk. Healthy adults who walked at least six miles a week had higher brain volume, an indicator of brain health, in one study. Cognitively impaired adults needed to walk 5 miles a week for similar results. — Eat healthy. People who have diets high in fruits and vegetables and low in saturated fats — a la the Mediterranean diet — appear to have a reduced risk of dementia. Omega-3 fatty acids, a “brain food” found in some fish, have been linked to reduced risk as well. Gingko biloba doesn’t appear to do anything at all, however. — Stimulate yourself mentally. Learning a new language, reading, and being socially active have been linked to slower mental decline. Science hasn’t vetted these out these strategies completely, but it’s safe to say they can’t hurt. In the meantime, take solace in the wealth of ongoing Alzheimer’s research. A cure may not be around the corner, but researchers aren’t giving up. The Mediterranean diet has been in the news a lot lately, and now our mainstream health stake-holders are weighing in on the plan. Below is a brief summary put together by this group. If you’re looking for a heart-healthy eating plan, the Mediterranean diet might be right for you. The Mediterranean diet incorporates the basics of healthy eating — plus a splash of flavorful olive oil and perhaps a glass of red wine — among other components characterizing the traditional cooking style of countries bordering the Mediterranean Sea. Most healthy diets include fruits, vegetables, fish and whole grains, and limit unhealthy fats. While these parts of a healthy diet remain tried-and-true, subtle variations or differences in proportions of certain foods may make a difference in your risk of heart disease. Research has shown that the traditional Mediterranean diet reduces the risk of heart disease. In fact, a recent analysis of more than 1.5 million healthy adults demonstrated that following a Mediterranean diet was associated with a reduced risk of overall and cardiovascular mortality, a reduced incidence of cancer and cancer mortality, and a reduced incidence of Parkinson’s and Alzheimer’s diseases. The diet also recognizes the importance of enjoying meals with family and friends. The Mediterranean diet traditionally includes fruits, vegetables, pasta and rice. For example, residents of Greece eat very little red meat and average nine servings a day of antioxidant-rich fruits and vegetables. The Mediterranean diet has been associated with a lower level of oxidized low-density lipoprotein (LDL) cholesterol — the “bad” cholesterol that’s more likely to build up deposits in your arteries. Nuts are another part of a healthy Mediterranean diet. Nuts are high in fat (approximately 80 percent of their calories come from fat), but most of the fat is not saturated. Because nuts are high in calories, they should not be eaten in large amounts — generally no more than a handful a day. For the best nutrition, avoid candied or honey-roasted and heavily salted nuts.